Minemax was started in 1996 by Jim Butler, (Phd Engineering, University Of Tokyo). The company specialises in mine planning and scheduling solutions with offices in Perth, Western Australia and Denver, USA. The companies products are used in over 35 countries and by leading mining organisations around the globe. 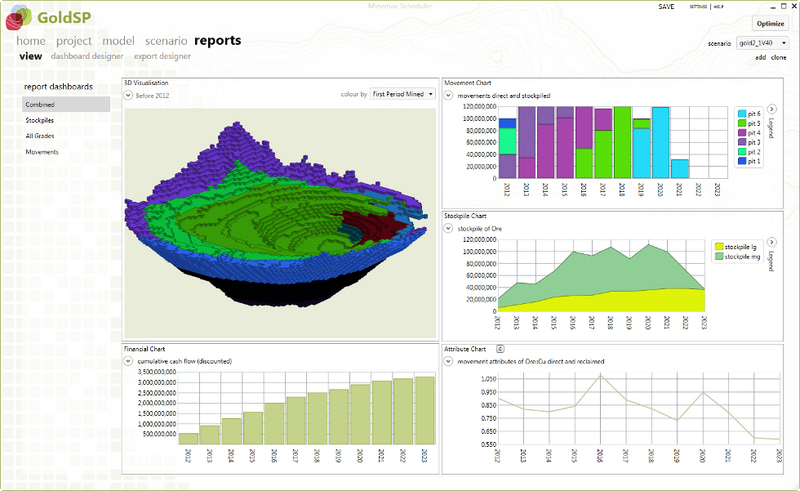 Minemax’s premier product is Minemax Planner, a leading pit optimisation and resource scheduling tool. While earlier market technologies used the Lerchs Grossman algorithm to rank resource blocks, Minemax Planner applies a branch of mathematics known as Combinatorics. Minemax has established its reputation as leader in mine planning and scheduling. Minemax also provides Minemax Scheduler, iGantt and Tempo. A comparison between Whittle and Minemax by AMC Consultants Pty Ltd resulted in “spatially identical pit shells”. Minemax proved superior in computation time, and hence it’s a ability to work effectively with larger models. A case study by Francois Bazin of IMC Mining and Hubert Dumon of Koniambo Nickel describes the use of the Minemax LP tools to optimise a pit, dump, haulage network for a lateritic nickel mine.